The Worship & Song Resources Edition is organized this way: Part One: Christian Year Advent - Christmastide - Epiphany Day Season after Epiphany Lent - Holy Week - Eastertide - Pentecost Day Season after Pentecost - Trinity - All Saints - Christ the King Part Two: General Acts of Worship Opening Prayers - Acts of Worship - Psalm Prayers Prayers for Illumination Statements of Faith Invitation and Confession of Sin Offertory Prayers Closing Prayers and Acts of Worship Various Occasions and Special Days Daily Praise and Prayer INDEXES Acknowledgments Scripture Index Topics and Categories Index of First Lines All worship resources will be available online for individual purchase as PowerPoint slides and PDF files. The Faith We Sing was published in December 2000 and has now sold more than 1 million pew copies to more than 3,000 churches. Since that publication date, much new music has been written for congregational worship. This follow up is available in five editions: Music Pew Edition, Leader's Edition, Singers Edition, Accompaniment Edition, and Worship Resources Edition. 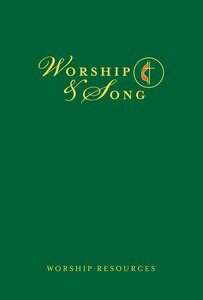 This last edition distinguishes Worship and Song from The Faith We Sing as this will contain services, acts of worship, and other worship resources. About "Worship Resources Edition (Worship And Song Series)"